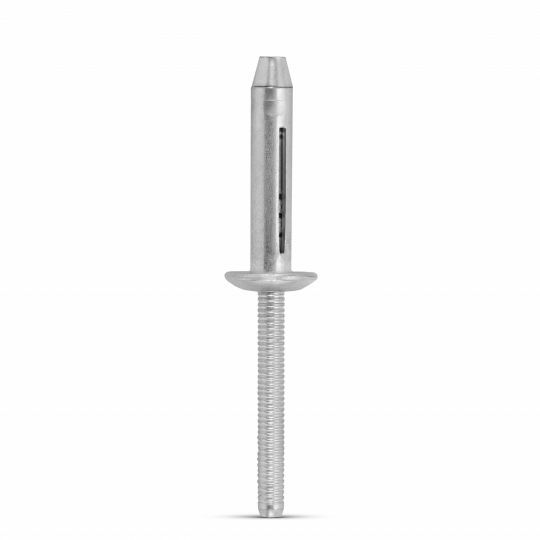 Structural Rivets have the grip-range versatility of a Multi-Grip while simultaneously being exceptionally strong once set. The structural high strength is a result of a mechanically locked stem. 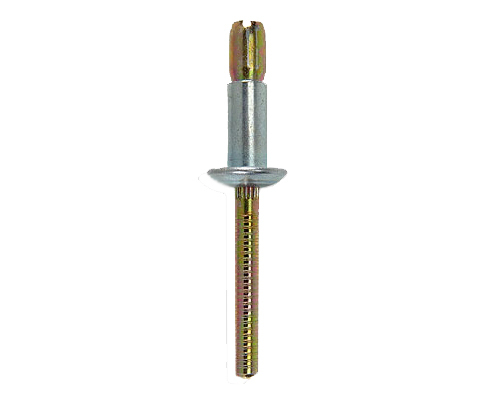 The locking occurs during the riveting process when the mandrel has traveled the full length of the rivet body. 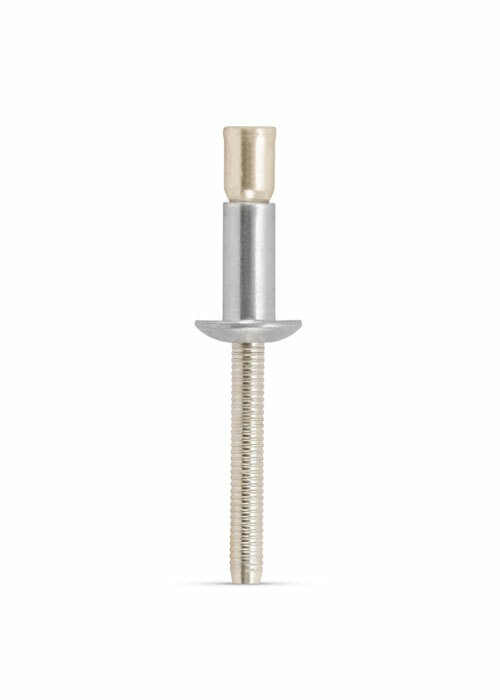 The strength comes from the mandrel being locked in place and completely filling the space along the shear plane from the primary through to the secondary side of the head. When set properly, this results in a flush break, where the mandrel is broken nearly even with the head. 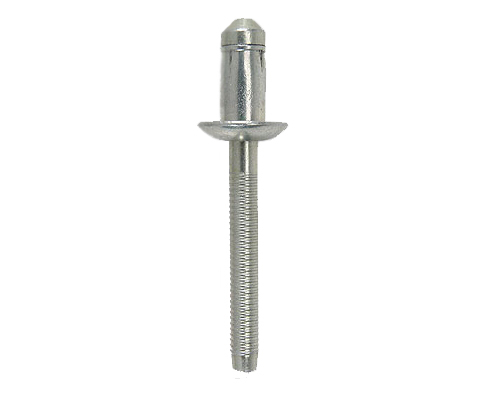 Structural Rivets are primarily used in the transportation industries like Truck, Trailer, RV and Locomotive, however it is often used commercially as well.